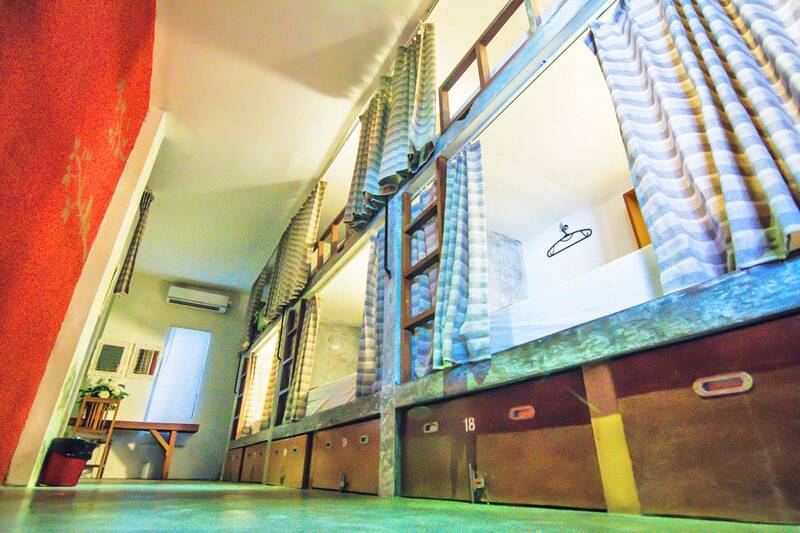 Kayun is a stylish, clean new hostel designed with the traveller in mind. We provide free Wi-Fi, 24hr security and reception, English-speaking staff, tour bookings, a café, air conditioning in every room, a swimming pool and more. We have a wide range of rooms to accommodate all types of travellers, including a 10-bed ladies' dorm which is secure and spacious, designed exclusively for women. Our 16-bed mixed dorm is designed to look more streamline and feel more private than your typical dorm room. 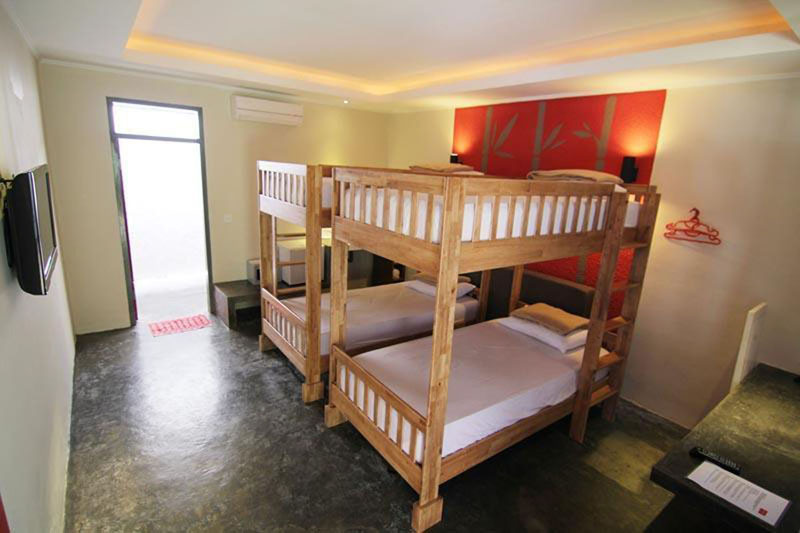 We have two private twin rooms, each with two single beds, a safe box, en suite bathroom, LCD TV and towels. We also have 12 private double rooms, each with a queen-sized bed, safe box, en suite bathroom, LCD TV and towels. The hostel also has five deluxe double rooms with a larger room size, queen-sized bed, safe box, refrigerator, en suite bathroom, LCD TV and towels. Our safety features are among the best, with 24hr security, CCTV, key-card room access, and fire safety equipment. Taxis are available outside our front door. You can also rent motorbikes nearby, while a laundry is just across the street. 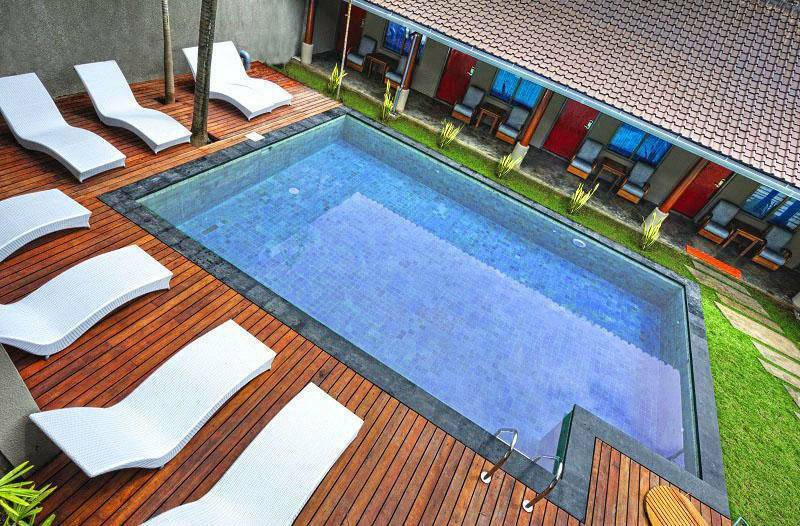 Enjoy Bali from our spacious, comfortable hostel by the beach! Our 16-bed mixed dorm is designed to look more streamline and feel more private than your typical dorm room. We have two private twin rooms, each with two single beds, a safe box, en suite bathroom, LCD TV and towels. 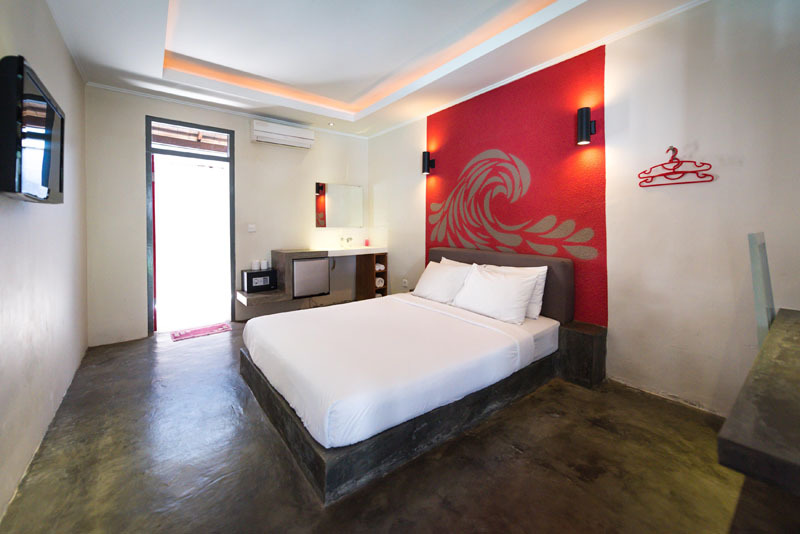 We also have 12 private double rooms, each with a queen-sized bed, safe box, en suite bathroom, LCD TV and towels. 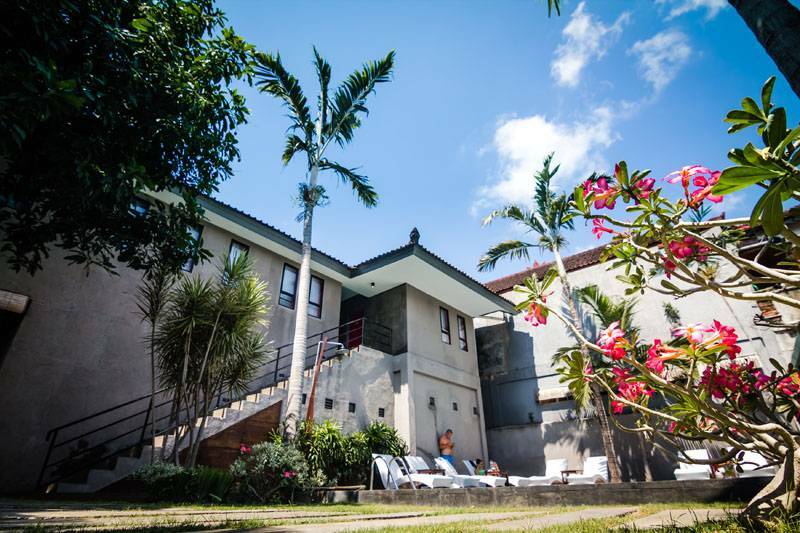 Whilst we are located in a quite road compared to the hustle and bustle of Kuta, Kayun hostel is still in the heart of Bali's best hangout area, surrounded by clubs, bars, culture, shops and of course, Kuta Beach, all a within 500m radius! We are located right in the heart of Kuta, right on Patih jelantik street, Our hostel is on the left side of the road, 100m before the intersection. The easiest and safest way to reach Kayun Hostel from the airport is to arrange our private transportation service. The price for an airport pickup service is IDR 100, 000/person/one-way minimum 2 pax (for single travel a surcharge will apply- total IDR 120, 000). If you wish to arrange our transportation services please send us your flight number and arrival times. Our driver will meet you at the airport exit; holding a sign with your name and the Kayun Logo (as attach). Based on car availability. Must book at least 24 hours in advance. The other option is to take a taxi. The taxi stand is located outside the airport arrival exit. 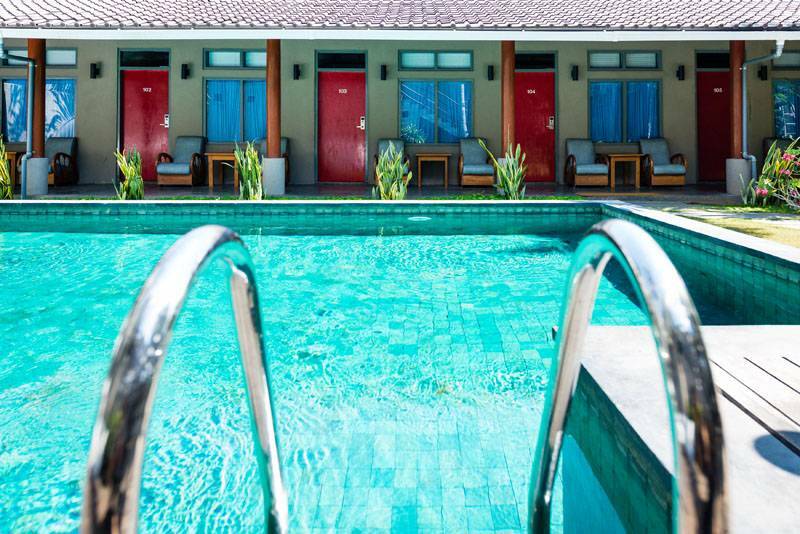 Tell the stand that you are going to Kuta, Jalan Patih Jelantik 176, Kayun Hostel. Kayun is on the left-hand side, 100 meters before Legian Road. Pay the taxi stand Rp150. 000 before entering the taxi; do not pay the driver directly.